Lifting the Spirits | Spaceship! Spaceship! Spaceship! When the International Space Station was first designed, the plan was for a crew of seven astronauts to be permanently based in orbit. The necessity to transport them swiftly back to earth in the event of an emergency led to the development of the Crew Return Vehicle or CRV, a seven-man lifeboat that that could detach and re-enter the earth’s atmosphere. 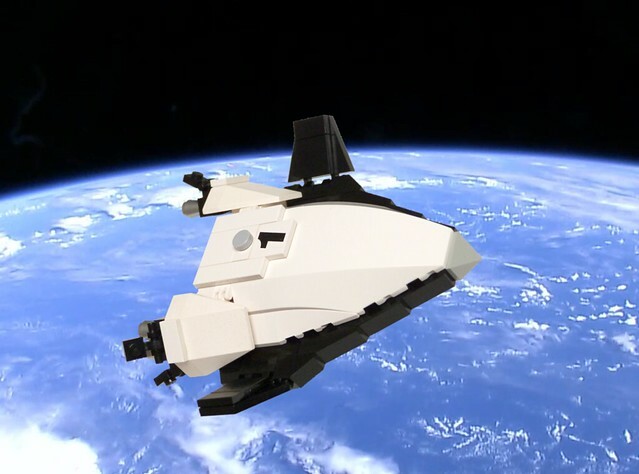 The CRV project was eventually cancelled, and hence the station only ever assumed a 3 man crew (the maximum that could fit in a Russian Soyuz capsule), but had the CRV ever flown it would have looked a lot like this LEGO spaceship by Damien Labrousse. The shape is called a Lifting Body, and it was pioneered in the 60’s as a potential shape for a vehicle that would create lift solely from the shape of the fuselage, rather than via wings. Although no lifting body has ever flown into space, it’s got its niche within science fiction, as a plausible near-future concept for a shuttle-like vehicle. 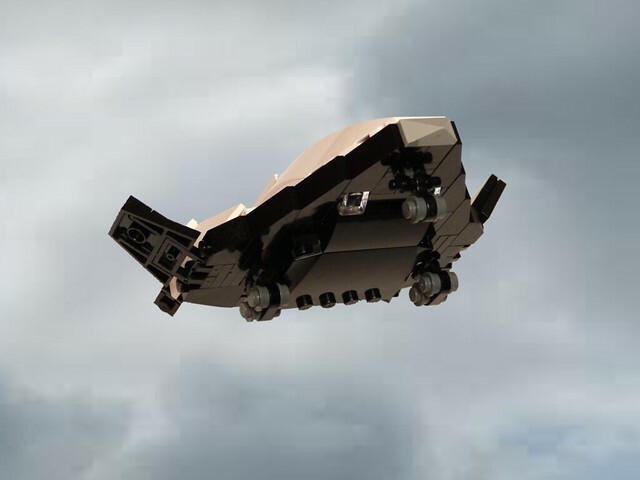 Damien’s model makes simple but very effective use of curved and angled bricks to reproduce the shaping of the lifting body, with the iconic white and black colour scheme immediately fixing it as being evolved from the space shuttle. He’s even built a near-future interplanetary craft for them to detach from so they can land on the surface of an alien planet! 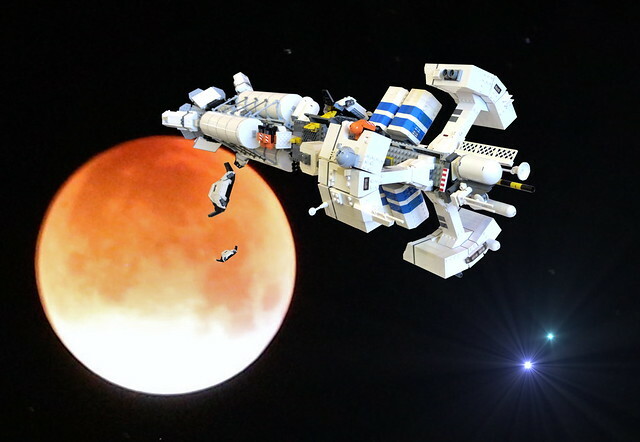 This entry was tagged microscale, MOC, real space, swooshable. Bookmark the permalink. Hi, I appreciate a lot you backgrounded these mocs. Thank you very much! Pingback: Driving a Wedge | Spaceship! Spaceship! Spaceship!